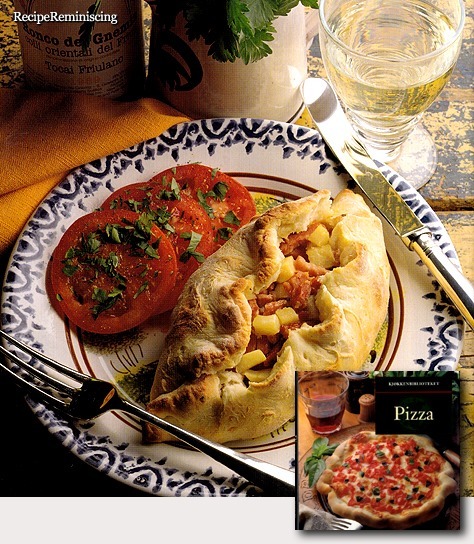 A calzone from ”Pizza” a book in the “Kjøkkenbiblioteket” (Kitchen Library) series published by Aventura Forlag in 1992. This recipe originates from the Alto Adige region in northern Italy. Feel free to substitute ham with other types of pork. But do not cut out horseradish, it brings out a lot of flavor from the meat and apples. One variation is to form the calzone with an open top.